And so, as 2013 draws to a close, we at I Can’t Believe My Earz have been weighing in on our Indie Album Of The Year. We have listened to hundreds and hundreds of albums, written about 50 or 60 of our favorites, and created a short list of potential Album Of The Year winners. We would like to thank and congratulate all of the artists that we had the good fortune to listen to this past year. We enjoyed all of your music, and are proud to be involved in the Canadian Indie Music scene. Jenny And The Felines–Don’t Look Back-Not Canadian, but the music is so amazingly good, I don’t care. This band rocks. This band rolls. Jenny And The Felines does it all. Don’t Look Back is a wondrous compilation of memorable tunes with catchy hooks and melodies. They have created a unique blend of 1960’s and 1970’s music with an alternative edge. Simple music. Great songs. Nothing forced and nothing overwhelming. Don’t Look Back is a way cool 60’s feel good journey. The Nursery–Carnival Nature-The Nursery have incorporated several styles and arrived at a sound that can best be described as acid/rock/soul/synth-folk/pop. Let’s be honest. Its just plain weird! Eccentric. But it is simply incredible. The songs are unconventionally spectacular. The arrangements are weirdly wonderful and I’m having the time of my life listening. This is an album you won’t want to miss. The Creekside Strays–The Creekside Strays-This London, Ontario band released a classy and fun album of exceptional songs. 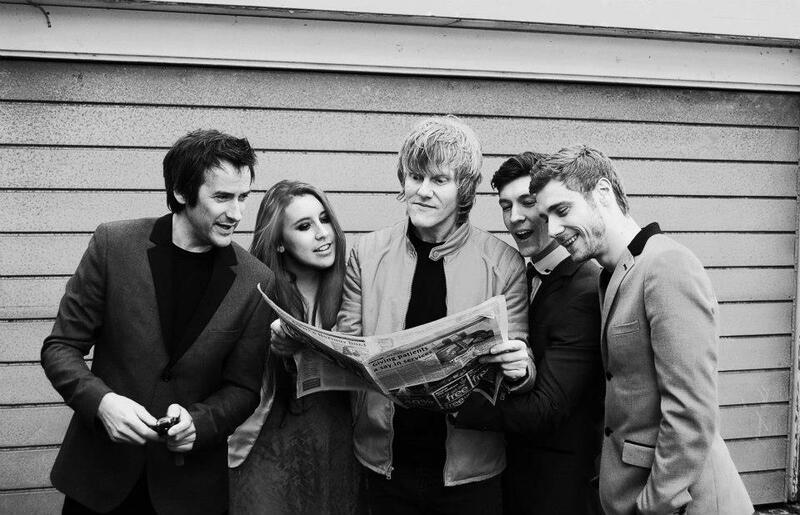 The Strays have a unique sound, a blend of rock, soul and pop which could best be described as Stray Rock. The self titled EP contains five wonderfully crafted songs that you will not be able to stop singing. Unforgivable not to have this gem in your collection. The Pygmies–Inside Your Mind-The Pygmies have nailed it. The sound is captivating and the songs are brilliantly written. I enjoy the 2 1/2 minute tunes, which are written in a pop style-short and simple, and give me the sense that these were recorded live in one take. These guys are adept at dropping garage melodies into 1960’s pop, and 60’s pop melodies into garage music. They have a distinct knack for vocal melodies and harmonies, and a great sense of humor. Young Benjamins–Less Argue-These Saskatoon natives write amazingly well crafted songs and execute them to perfection. Incorporating pop rock, blues and middle eastern influences, Less Argue delivers. Strong vocals, great melodies and tremendous musical insight allows this young band to make the kind of album they want to make. Esoteric, eclectic and entertaining.. Ten tracks take you places you never knew you could get to. A must for every collection. 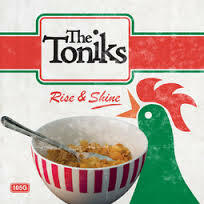 THE TONIKS-RISE & SHINE–Rise And Shine is Pop perfection. Not a bad track on the album. It will make you dance. It will make you sing. Best of all, it will make you happy. The song writing is exquisite, with simple lyrics about life and love and human interactions that take one to a more innocent and simple place. These guys are amazingly talented. The music is insanely great The album is a wonderful time. 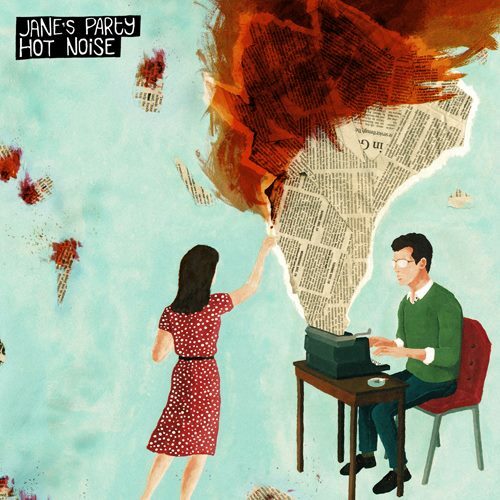 Not just the top Indie album of 2013, but one of the most incredible albums we have heard. 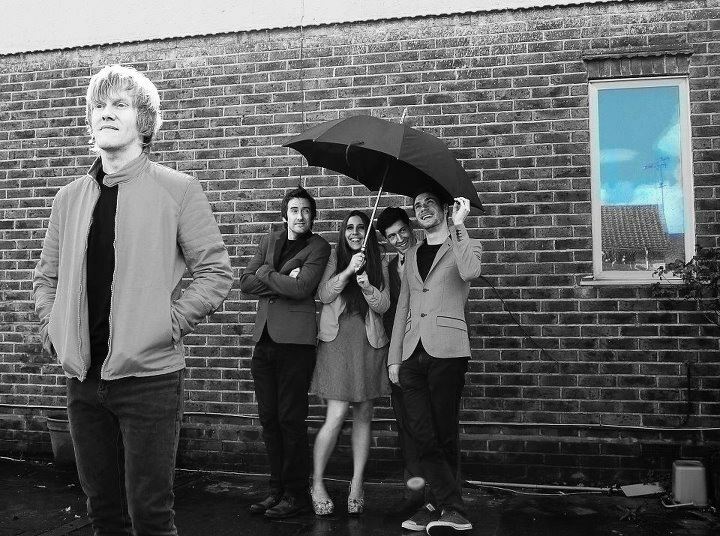 Exceptional song writing, brilliant melodies, wonderful harmonies and a way cool 1960’s British feel make this our Indie Album of The Year for 2013. Check it out for yourself. Congratulations to Mark, Jez, Tom, Jessica, and Colin. With the somewhat disturbing and unpredictable weather we experienced in July, there was ample opportunity to stay indoors and listen to some amazing music created by Independent artists. Here are our picks for the MUST HAVE CANADIAN INDIE ALBUMS for July 2013. About to be released in September, Rise And Shine is a trip back to 1965, London. Influenced by The Beatles, Badfinger and Squeeze, this UK band has perfected the sound that filled the airwaves 47 years ago. Packed with tracks that deal with life, love and human relations, this is a fun filled trip to a simpler time. Amazing melodies, wonderful harmonies combined with horns and strings, each song is pop perfection. If you purchase nothing else this year, purchase this. A definite must have. The album will be available through iTunes and directly through The Toniks website. Another U.K. band that has been granted honorary Canadian status, The Toniks, are currently touring Europe and Canada promoting their new album set for release in August of this year. I have not listened to the entire album, nor do I know the title, but the five songs I was able to pull off the internet have blown me away. “Secret’s Safe“, a hard driving pop song with amazing harmonies, an unforgettable hook and a remarkable bridge has you dancing along from beginning to end. The The light keyboards of “Rise And Shine” give way to the soft yet noticeable horns, while the guitars echo the melody to create the sense of additional layers of harmony. “Simple Things” is a slower song in which the instruments are kept back in order to make the vocals prominent. The emphasis on the vocals is further enhanced by the creative and unusual phrasing. There is an underlying, haunting riff throughout with harmonic layers and the gentle influence of strings and horns. “You And I” is a strangely sentimental number. with choppy chords and drum shots, horns and an amazing transition to the bridge that includes a change in tempo and tone. In the video, all of this is done to a Charlie Chaplin dance sequence. The best of the tracks I have heard to date is “Weather“, a fun song with a great chorus and hook that keeps you singing long after the music has stopped. The acoustic guitar creates a mood that is quickly shattered by the horns and harmonies,while a subtle lead solo plays amid the storm. The video sets this to the dancing in the thunderstorm scene in the film “Singin’ In The Rain”. The lines “come inside my head you’ll see, I don’t want to talk about the weather; I don’t want to talk about whatever.” sing as the rain falls. The song fades out as Gene Kelly walks away from us, down the street. Brilliant! These five musicians from Guildford U.K., have created a sound uniquely their own by infusing Squeeze with The Searchers. And it works.The songs are innocent. The songs are fun. These guys are exciting. When they come to Toronto, get tickets and go. These guys are that good. These guys are great!